The most extensive gas regulator portfolio on the market! 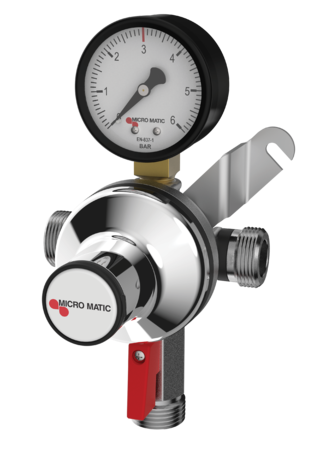 Micro Matic offers a full selection of CO2 and Nitrogen gas regulators. 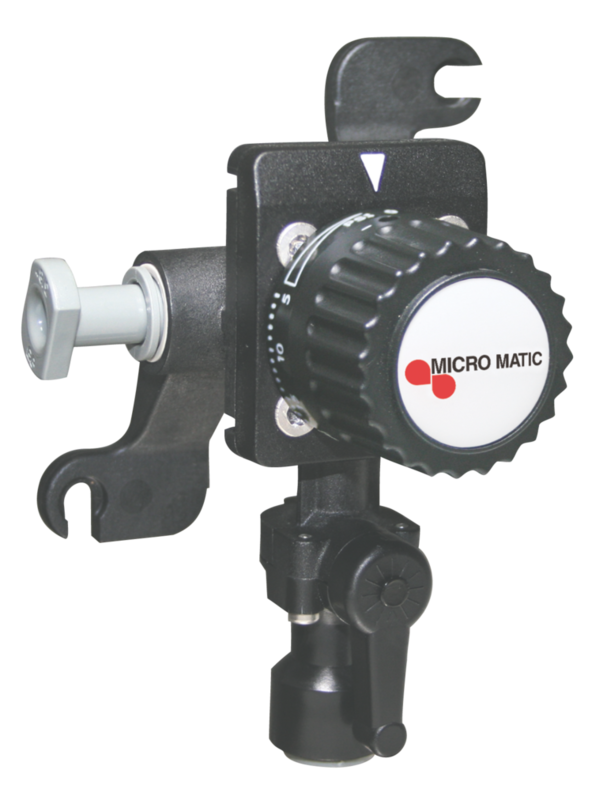 A properly adjusted and functioning draft regulator is one of the keys to dispensing quality draft beer. 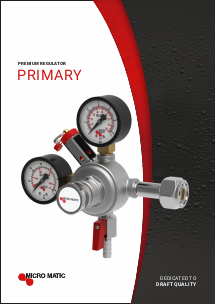 The primary CO2 gas regulator is designed to decrease the gas cylinder’s high pressure to a lower, usable pressure for dispensing. 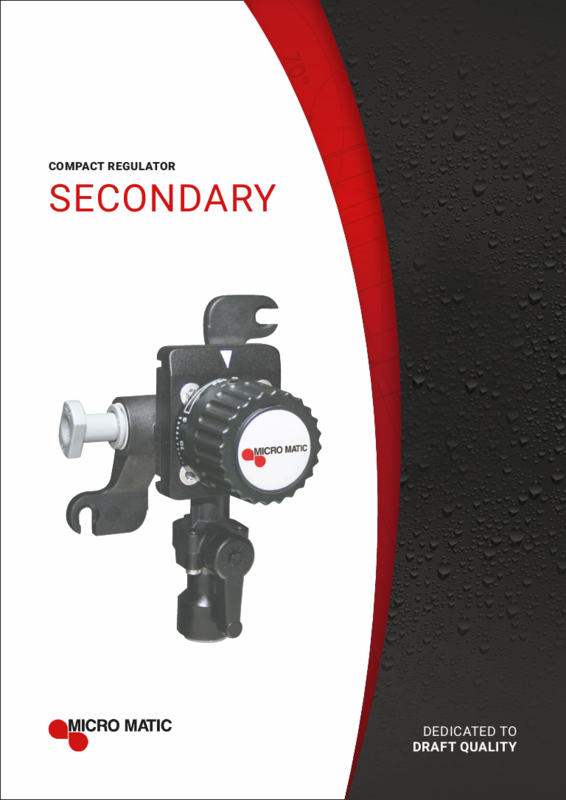 This draft regulator can be used in a single pressure, single keg application, in a panel of primary regulators or for servicing several secondary regulators downstream. 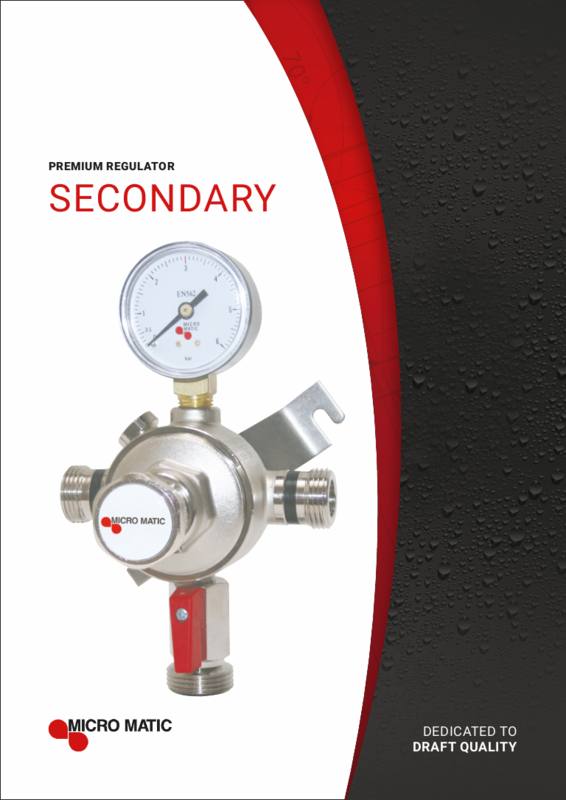 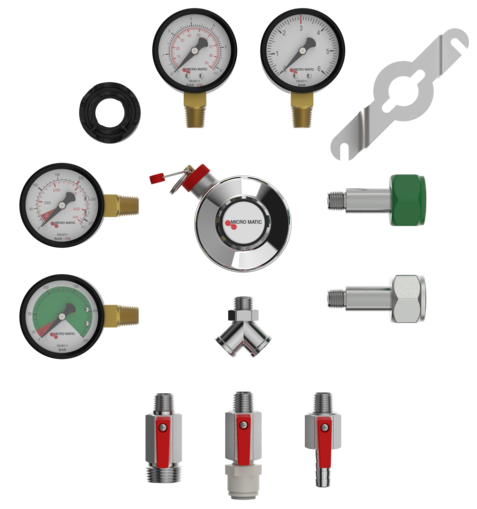 Secondary gas regulators reduce pressure from a primary regulator or gas blender and then this lower pressure services each individual beer keg. 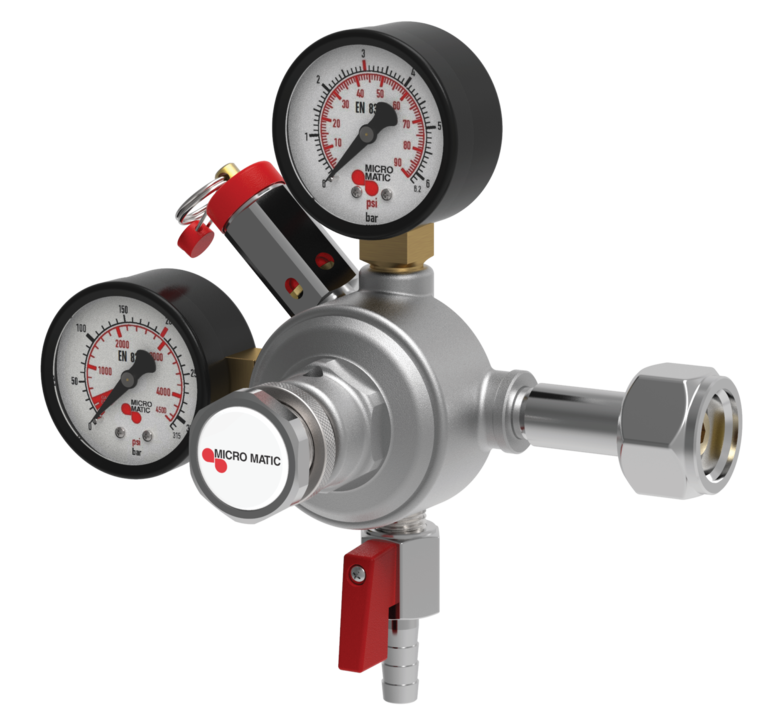 An application would be for a system using CO2 gas dispensing products with different carbonation levels. The primary CO2 gas regulator is set between eg. 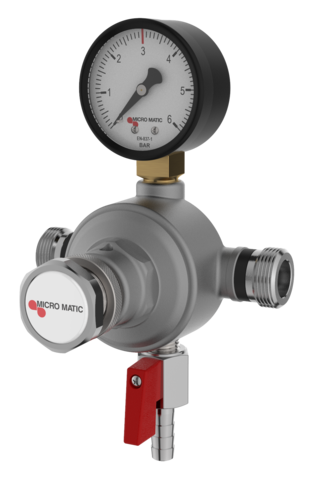 35 - 45 PSI supplying two or more adjusted secondary draft regulators reducing individual pressures of eg. 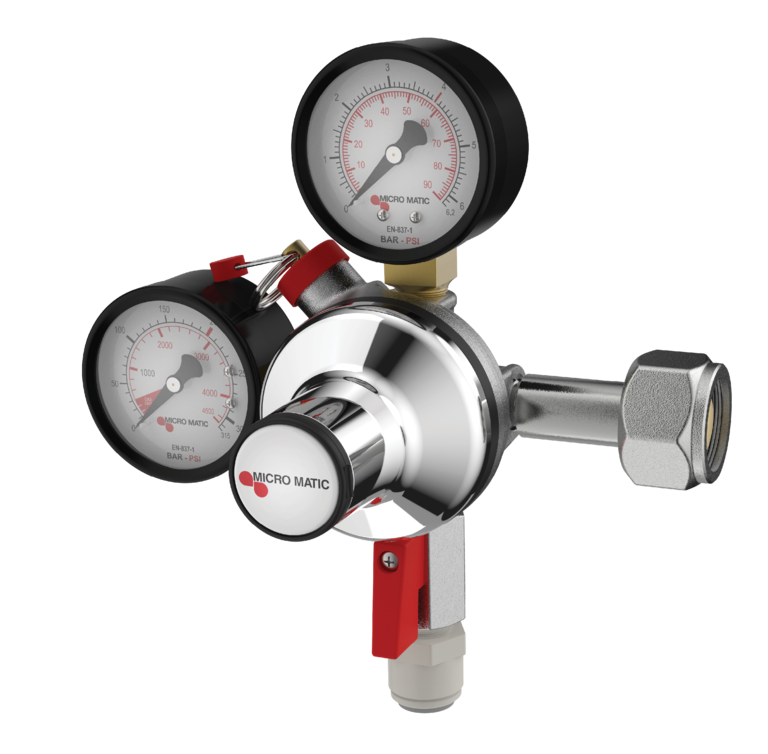 12 and 14 PSI for the respective kegs. 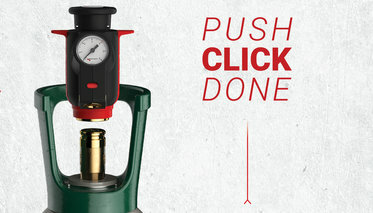 QuickFit™ - The Regulator of tomorrow is here! - The Premium regulators can be easily extended and used as a battery for two and up to five regulators in series.